FDC has conducted public hearings asking for feedback about the plan to reduce visitation hours for inmates. 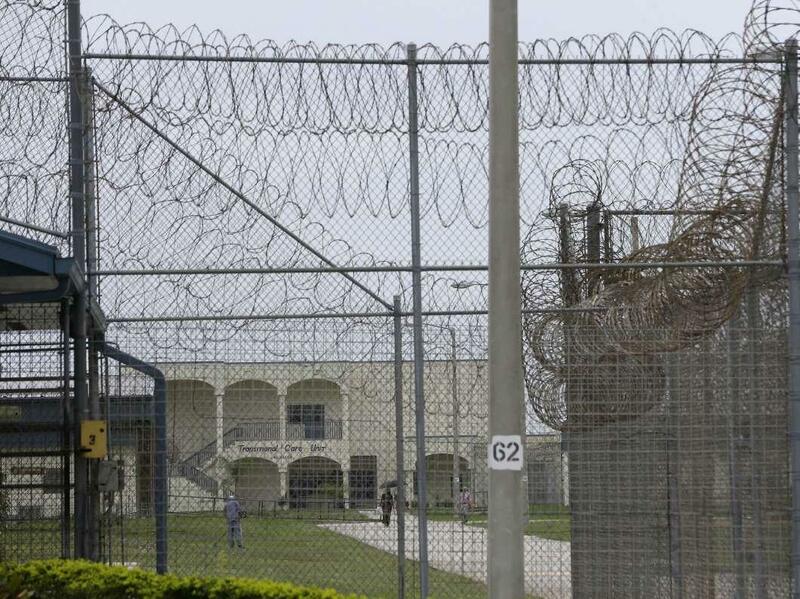 The FDC is implementing plans set forth in a contract with JPay, a Florida company that is already operating in correctional facilities in over 30 other states. The contract provides kiosks in every dorm that allow inmates to connect with family and loved ones through video. The contract also provides thousands of "educational" tablets to inmates free-of-cost. Video visitations run at a cost of $2.95 per 15-minute session, while other tablets will be sold to inmates for $80. The arrangement has been called into question by prison watchdogs and advocates, who see a correlation between the planned reduction in visitation hours and the rollout of for-profit services. “The in-person visitation in whatever unit is being offered is going to be cut back in order to push people to [the technology], in order to take advantage of the paid-for services,” said Jorge Renaud, a senior policy analyst at Prison Policy Initiative. His group has found that the majority of corrections facilities that offer virtual visitation technology across the country have reduced or eliminated in-person visitations. The technology is used almost exclusively by local jails that keep inmates for shorter time-spans, not with statewide prison systems with long-term inmates who research shows benefit from human contact, Renaud said. Forgotten Majority Inc., a Florida-based advocacy group, has voiced similar concerns. “It’s just strange to see Florida doing this,” Renaud added. In an email, Michelle Glady, the FDC's director of communications, said: "This will allow opportunities for inmates to have expanded digital communication with friends and family in addition to in-person visitation on the weekends." The JPay tablets offer more opportunities for inmates to have access to reading and educational material, as well as access to approved films and music. The contract with JPay will not cost the state any money, nor will the state get any commissions from the video calling fees. But the state will be getting a percentage of commissions for other services being offered by JPay, which are bundled with the video visitations and facilitated by the increased digital access that JPay offers. A recent report from the Jacksonville Times-Union found that FDC brought in a record high $350,000 in commissions in May. Those dollars come from money transfers and electronic “stamps” that are purchased in order to send emails, photos and videos through services offered by JPay. Another way that the state will benefit is receiving equipment for state employees directly from JPay. JPay will provide 1,500 iPad Air 2 32GB Wi-Fi tablets to the state for “officer use,” along with 500 desktop computers, according to the contract. The contract with JPay was signed in April of 2017, but the full implementation of it, with training and distribution of tablets, only happened in February of this year. The proposed rule was published a few weeks after that. The proposed rule’s purpose is to improve safety and “reduce the contraband being introduced into the institutions.” Opportunities for additional visitation will be allowed during “unusual circumstances,” it reads. JPay said the company played no role in the proposed visitation hour changes. "Video Visitation allows many families to more frequently communicate with their loved ones. It enables experiences that would otherwise be impossible, such as seeing a child’s first step, helping with homework or watching a best friend blow out birthday candles," wrote Jade Trombetta, a senior manager of JPay in a statement. While there are fees attached, virtual visitations can be cheaper than travel for some families, she stressed. In a statement to WLRN, the FDC's Glady maintains that virtual visitation is merely a supplement to in-person visits, and that the reduction of in-person visiting hours has "no correlation" to the technology. FDC has previously called suggestions that it plans to fully swap out in-person visitations for virtual ones a “conspiracy.” The department says that it does not profit from the services offered by JPay, because the money it receives from commissions pay for the salaries of employees who perform the services. Two public comment hearings have been conducted on the proposed cuts of visitation hours. Public comments submitted through that process have alleged that the policy would negatively affect the mental health of inmates by reducing their human contact and that in the long run, it would lead to more repeat offenses, according to a Powerpoint of one of the presentations provided to WLRN. Members of the public also alleged that cutting visitation hours is an “FDC ploy to gain financially via video visitation,” according to the presentation. Friends and families of inmates will foot the costs to use the virtual visitation technology. They would also need to have access to high-speed internet, posing additional burdens. Parts of South Florida are among the least connected to the internet in the nation. In a 2015 study by the National Digital Inclusion Alliance, Miami and Hialeah--two of the largest cities in the state--ranked as the fifth and seventh least-connected cities in the nation. Recordings of video calls made by inmates will be kept by JPay for 30 days for security purposes. At the end of the contract’s term, in 2022, JPay will delete all the data that it gathered on inmates.